A pan of roasted vegetables is one of those simple joys. They are gorgeous, glistening colorful chunks of vegetal goodness. They can also be satiating — pair them with a pot of rice, and many of us would call it dinner. Most vegetables take well to roasting, which concentrates their natural sugars and offers up a golden caramelized exterior with a terrific texture. They key is to combine vegetables of approximately the same size and density so the cooking time is the same for the whole pan. You could also start with a longer cooking vegetable, like potatoes, and then add some asparagus when the potatoes only have 10 to 15 minutes left to cook. This way everything is ready at the same time. The combination of vegetables to roast can (and should!) change season to season. Make Roasted Potatoes and Asparagus with Lemon Mustard Dressing in the spring and Cider Vinaigrette Roasted Root Vegetables or butternut squash, Brussels sprouts, and halved fingerling potatoes for a delicious fall/winter combo. They are super pretty to boot! Baby pattypan squash, scallions and asparagus make a lovely simple side as the weather warms up. The possibilities are endless! After you enjoy your fresh-from-the-oven roasted vegetables as a side dish with dinner, you will be amazed at how useful leftover roasted vegetables can be all week long. Don’t leave leftovers to chance — make extra on purpose! If you roasted vegetables as a side dish, double them to make extra for the rest of the week. Keep in mind that some of these recipes call for roasting vegetables as part of the recipe. You can substitute whatever roasted vegetables you have on hand to give yourself a leg up and get to dinner faster! Roasted vegetables can be reheated in the oven, on a sheet pan or in a baking dish, and are fairly flexible in terms of oven temperature. That means if you are roasting a chicken at 450°F, go ahead and slide those roasted vegetables in for the last 10 minutes of cooking and let them warm up. 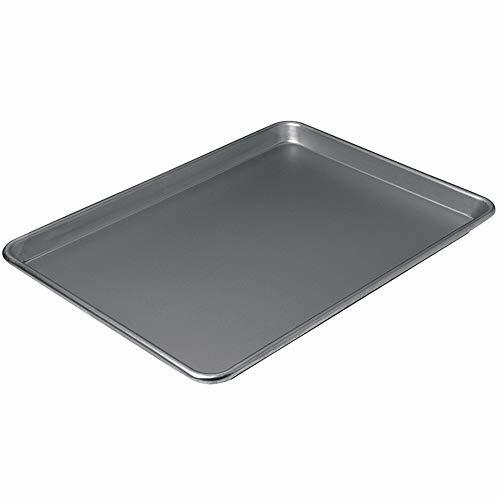 Baking a casserole at 350°F? In they go! But you might want to time it so they have a few more minutes to heat through. Roasted vegetables are also fine to reheat in the microwave, though they will soften, and you won’t have the same crisp-browned edges you get when you roast or reheat them in the oven. Roasted vegetables are welcome additions to pasta and grain dishes of all sorts. Try this: cook a pound of your favorite pasta then toss it with several cups of roasted vegetables (any kind) and a glug or two of olive oil. You have a lovely (vegan!) dinner. Sprinkle with a handful of shredded Parmesan, crumbled feta or goat cheese to finish it off (now it’s vegetarian). Don’t like pasta? Cook up some grits, polenta or quinoa and top it with roasted vegetables of your choice. If your vegetables are cut on the larger side, dice or roughly chop them. For the following recipes, feel free to substitute the roasted vegetables you have on hand for the ones called for in the recipe. Give the recipes a read through, and then add the roasted veggies when indicated in the recipe so they keep their shape and texture. Most soups call for cooking vegetables in the soup itself (maybe with a quick sauté in the pot first), but roasted vegetables have their own unique caramelized flavor and adding them to soup provides additional depth. Some of my personal favorites are: roasted butternut or other winter squash, fennel, asparagus, beets, cauliflower, and rutabagas to name a few. Even still, you may want to build a flavorful base for your soup by sautéing garlic or onions or some other member of the allium (onion) family first. Add your roasted vegetables toward the end of the cooking process. They are already cooked so you are just warming them through. You don’t want them to over cook, get mushy, and fall apart. Finally, make sure they are cut into pieces small enough to fit comfortably on a spoon. If your goal is pureed soup, then simply throw the roasted vegetables into a blender or a food processor, and add a couple of cups of broth. Season with salt, pepper or whatever herbs and spices you like. Puree until smooth, adding additional broth until you achieve your desired texture. Root vegetables take particularly well to roasting then pureeing. Heat it up and voila! Instant Roasted Vegetable Soup! A lasagna with roasted vegetables is pure joy. Rich melty cheese, al dente noodles, maybe some crumbled meat (maybe not), and then chopped roasted vegetables of almost any kind make for a truly winning combination. You can add chopped roasted vegetables to pretty much any lasagna recipe. Use a light sprinkling as you build your layers so the balance of the recipe remains and your pieces don’t slide apart when you serve them. If you want to include more roasted vegetables and make them the full star of the show add them to this very simple lasagna recipe, where you can safely pile them on. Another way to go would be to replace some of the vegetables in your favorite lasagna recipe with an equal amount of chopped roasted vegetables. Here are some lasagnas that are terrific as they are but would get even better with some chopped roasted vegetables in the mix! The fillings for enchiladas are pretty adaptable. Everything gets mixed together, rolled up in small tortillas and arranged snugly in a pan. Just make sure that the vegetables are cut small enough to stay put and not leap out of the enchilada when you serve them. Roasted vegetables plus cheese could anchor a pan of terrific vegetarian enchiladas all on their own. Wrap them up in lightly toasted tortillas and pour some enchilada sauce over the top before baking it all together. You can also swap equal amounts of roasted vegetables for any other vegetables called for in a recipe. You could even replace the meat with vegetables to make any recipe vegetarian.